I am trying to ascertain what the "mark" on the bottom of the subject bowl relates to. The bowl is an underglaze cobalt blue porcelain with four blue fish around the rim and one blue fish on the bowl centre surrounded by two blue rings. I have been told it COULD be a kiln identifier. Better upload pictures or post a link to pictures located on an outside site (e.g. Photobucket). 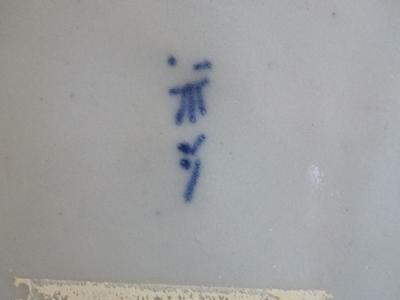 These are not readable characters and not a proper mark, unless it is a Japanese mark I could not image what it is.